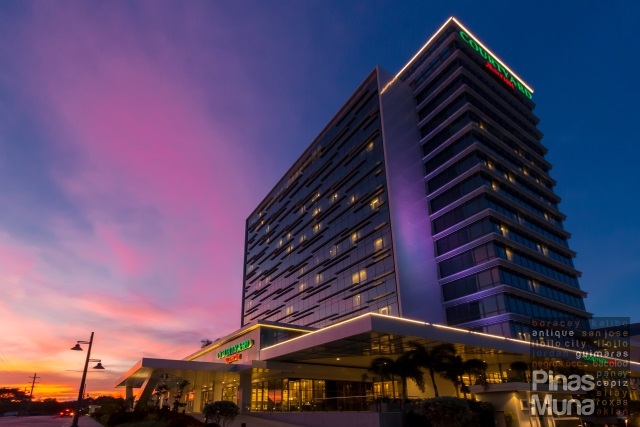 Waterfront Airport Hotel & Casino is a 164-room first class hotel conveniently located in front of the Mactan-Cebu International Airport. 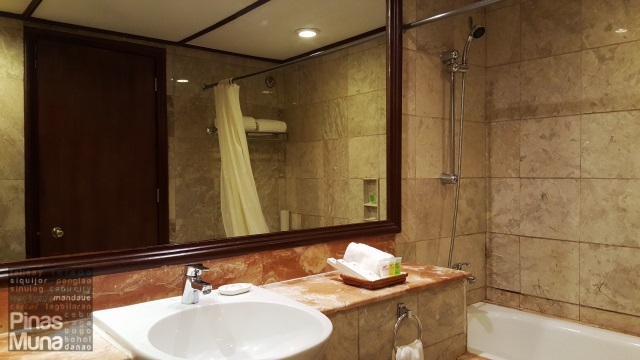 The hotel caters to business travelers on short- or long-term assignment on Mactan Island, Cebu, as well as to leisure travelers requiring a hotel near the airport. 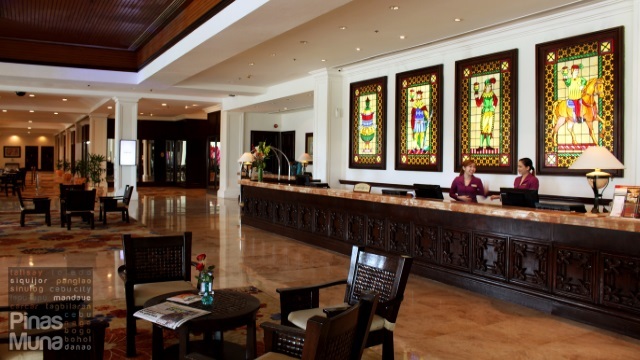 We prefer to stay at Waterfront Mactan whenever we have an early morning flight departing from Cebu. This is to avoid missing our flight due to the unpredictable traffic from Mandaue to Mactan. Our favorite room is a Superior Room facing the airport terminal. It measures 30sqm and has a very homey design. It is furnished with a king bed or twin bed matched with rattan furniture pieces. 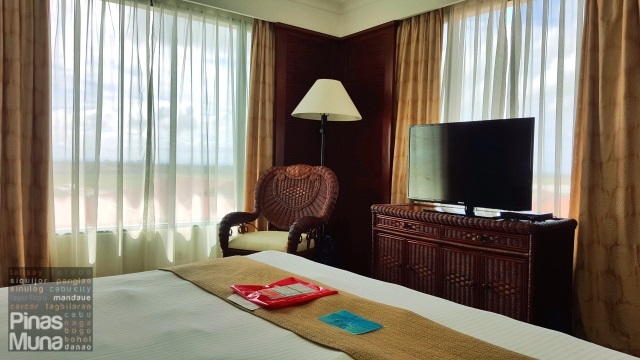 The room is equipped with an individually controlled air-conditioning unit, an LCD TV with international and local cable channels, a minibar, a coffee & tea making facility, and an in-room safe. The bed has a perfect back support which ensures a very comfortable sleep experience. Adding more comfort is the duvet encased in a high threadcount linen. The pillows are soft and fluffy and also provides perfect support to the neck. The en suite bathrooms is spacious and elegantly lined with marble. It has a bathtub with shower, a single basin with a spacious counter-top, and a toilet. Waterfront-branded toiletries as well as clean and high quality towels are provided. Water pressure is generally strong while water temperature is very easy to regulate. 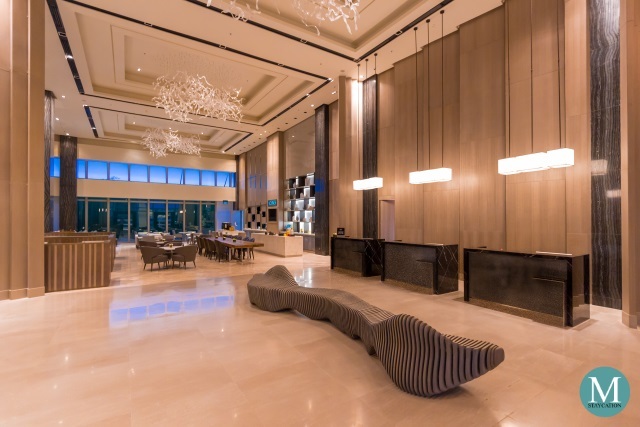 One of the things we are looking forward to whenever we stay at Waterfront Mactan is their dinner buffet at UNO, the all-day dining restaurant of the hotel. UNO features both international as well as local dishes. 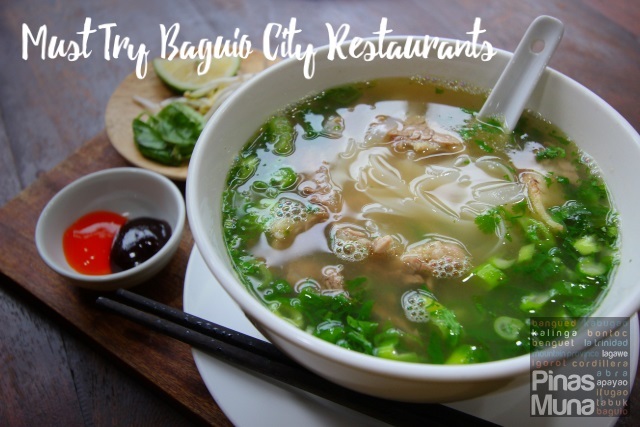 For only P810.00 nett per person, you can enjoy a dinner buffet with wide selection of dishes starting from appetizers of soups, salads, assorted breads, pastries, cheeses and cold cuts. The Japanese station has sushi and sashimi while the Chinese station has dimsum and noodle soups. The buffet also features Italian dishes including pizza and pasta, as well as other Western specialties such as steaks and roasted meat. There is of course a Filipino station featuring classics such as kare-kare, tapa, humba, caldereta and dried fish. Don;t forget to save some space for desserts such as cakes, cookies, macarons, ice cream, halo-halo and fresh fruits. 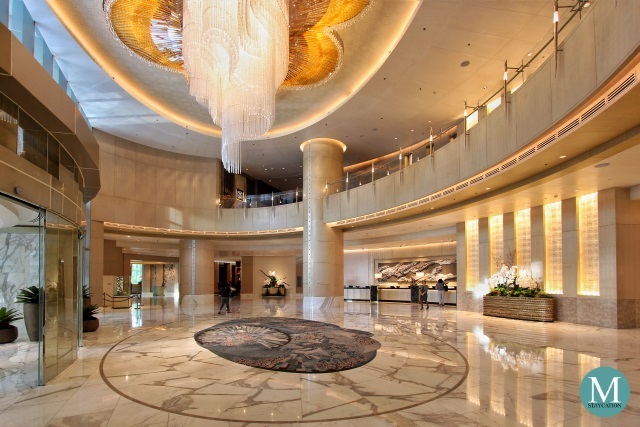 An overnight stay at Waterfront Mactan includes complimentary breakfast buffet for two persons at UNO. The good thing about staying at Waterfront Mactan is that you get to enjoy your breakfast without rushing to catch your flight since the airport is just 10 mins way from the hotel. We recommend that you check-in online to your flight. But if your flight is scheduled early in the morning, you can opt to book a room without breakfast to save on your room rate. 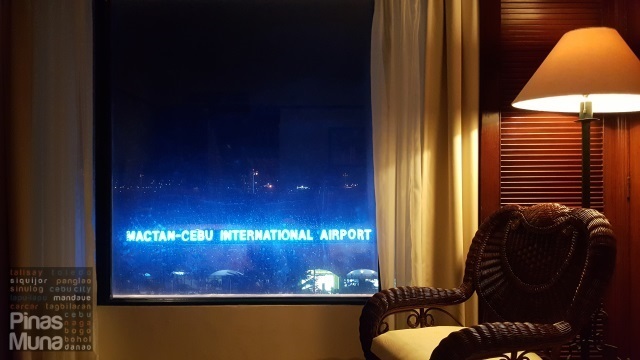 We really enjoy the convenience of staying at Waterfront Mactan especially the night before our flight. The rooms are very spacious and homey, the beds are very comfortable and the bathroom is very clean and water pressure is excellent. Their buffet is a great value for money because almost all of the dishes we tried were really good. 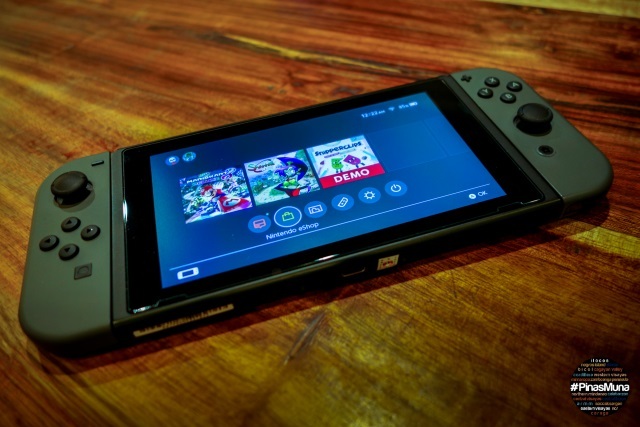 Most of all, the customer service is world-class. 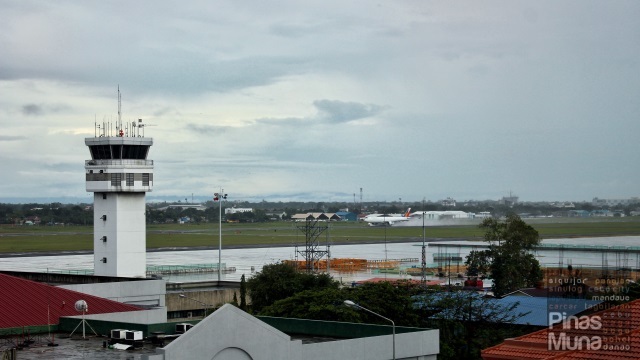 As an added bonus, the hotel also offers free shuttle to the airport which is very helpful for senior citizens and persons with disability (PWD), and also for those carrying a lot of baggage and pasalubong. We are looking forward to staying here again at Waterfront Mactan.